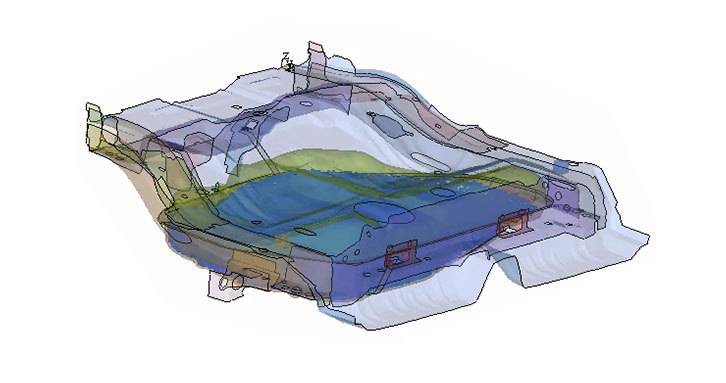 Altair RADIOSS™ is a leading structural analysis solver for highly non-linear problems under dynamic loadings. It is used across all industries worldwide to improve the crashworthiness, safety, and manufacturability of structural designs. RADIOSS Introduction Video Watch this quick introduction video to learn how RADIOSS can help you. 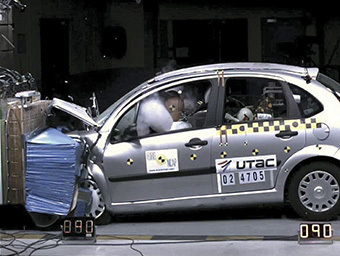 For over 30 years, RADIOSS has established itself as a leader and an industry standard for automotive crash, drop & impact analysis, terminal ballistic, blast and explosion effects and high velocity impacts. 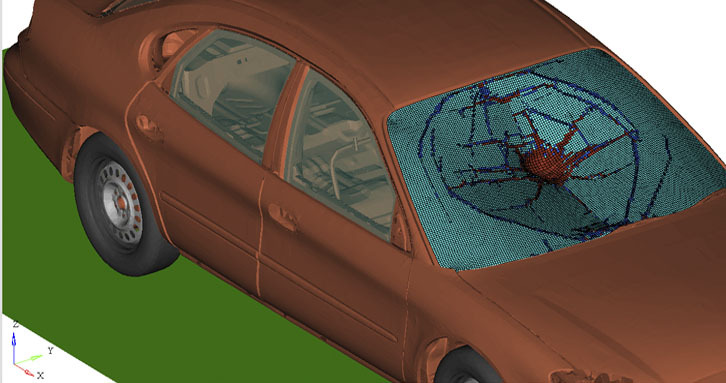 Automotive, aerospace, electronics, defense companies and R&D centers value the contribution it makes in understanding and predicting design behavior in complex environments, such as automotive crash, airplane ditching or blast effect on vehicles. The tight integration with the HyperWorks environment makes RADIOSS a powerful design tool. RADIOSS models are optimization-ready. Transitions to the optimization solver OptiStruct and HyperStudy are easy. 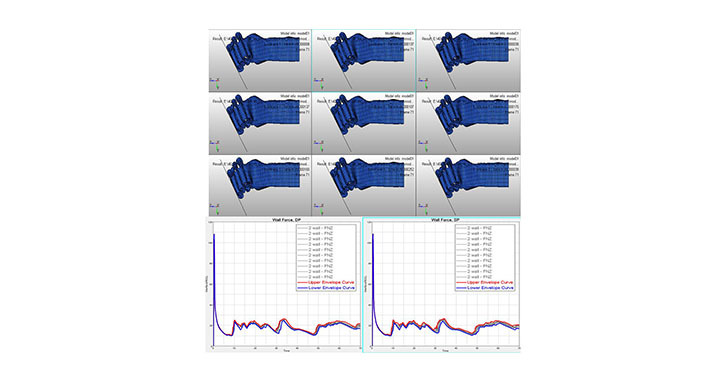 RADIOSS’ advanced multi-processor versions (Hybrid Massively Parallel Processing) have enabled the best scalability in the industry for large, highly nonlinear structural simulation. The use of Advanced Mass Scaling and single precision option speeds up orders of magnitudes while retaining the same accurate results. 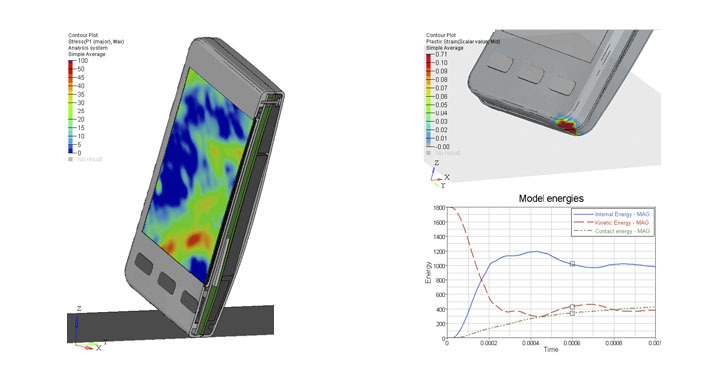 Detailed and accurate analysis can also be achieved without decreasing the global time step or increasing overall simulation time. Speed-up solutions like Multi-Domain, Submodeling are unique solutions to bring the right answer in the right time delay. Special provisions in the implementation guarantee full repeatability of results regardless of the number of computer cores, nodes or threads used in parallel computation. This unique advantage allows to take advantages of the clusters and to apply in a short time optimization techniques. Numerical scattering of results is highly minimized due to the quality of the software. RADIOSS provides one of the most comprehensive material and rupture libraries in the industry. The material laws and rupture criteria span across definitions for concrete, foam, rubber, steel, composites, biomaterials, and more. The coupling with MDS (Multiscale Design Systems) opens the door to précised and advanced behaviors. RADIOSS is tightly integrated with OptiStruct and HyperStudy. 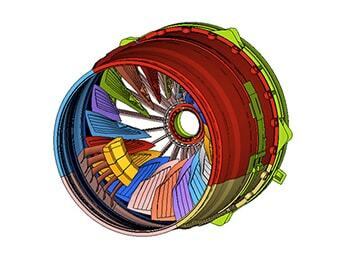 Design optimization and robustness studies can be performed easily to improve design performance. RADIOSS support is very responsive in reacting to user input. A rigorous quality assurance regime makes it possible to implement new features quickly and without regression in quality. PBS Professional is a powerful workload management software. RADIOSS jobs can be efficiently managed and monitored on sever infrastructures to minimize job turn-around-time. 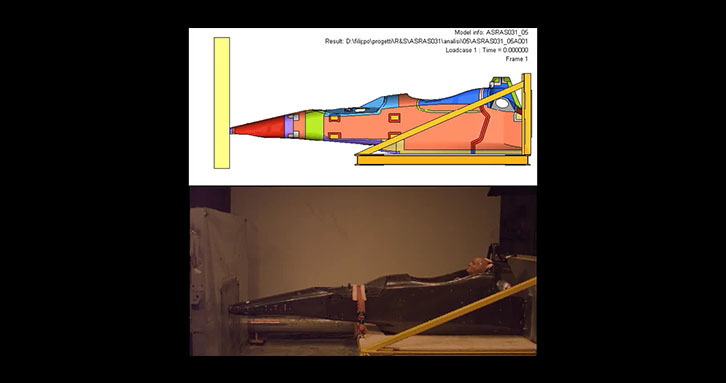 RADIOSS’ application areas include crash safety, drop testing, blast and hydrodynamic impact, terminal ballistic fluid structural interaction, forming and composite mapping. A complete set of elements, connectors, and boundary conditions are available. Contacts are managed thru different algorithms to allow accuracy and robustness assuming all contact conditions and some assembling ones. 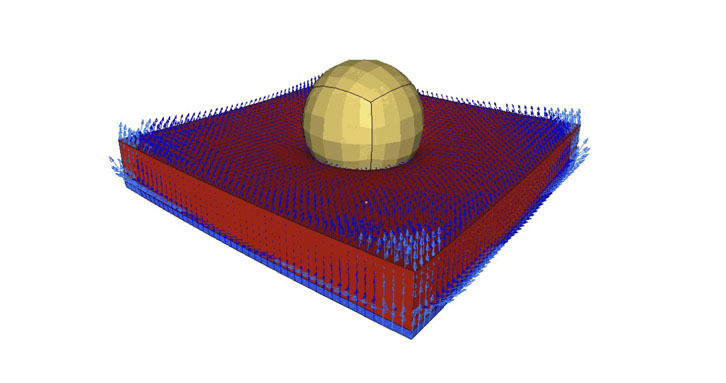 Materials laws including composite, concrete and soils, … ,, failure models (Johnson-Cook, Extended Mohr-Coulomb ….) are provided in RADIOSS thru libraries. Any rupture criteria can be used with any of the material laws. These combinations bring more than 300 materials. 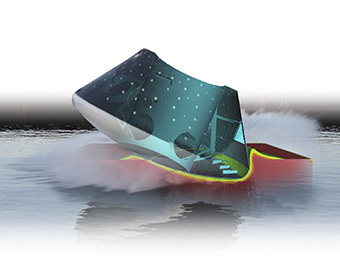 Advanced composites modeling and simulation are leading the industry. 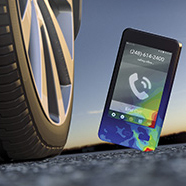 Innovative element formulations provide accuracy, speed and robust solutions. Dozens of boundary condition types are supported, for both simple and advanced load cases and constraint setups. 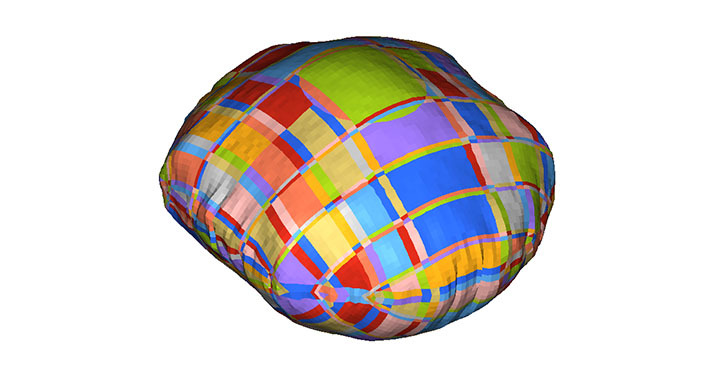 Finite Volume Method (FVM) based airbag simulation. Unique solution for accurate airbag deployment. Pure CFD solution with full coupling with structures. Advanced Mass Scaling for quasi-static problems, drop and impact tests, … to increase the time step and by the way reduce the elapse time significantly without degradation of the accuracy. Sub-Modeling for local design of components or sub-structures. 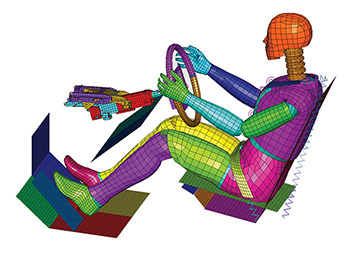 For vehicle occupant safety, simulation RADIOSS has access to a large library of dummies, barriers, and impactors. RADIOSS provides the most comprehensive toolset in the industry through partnerships with Humanetics and CellBond. Coupling with Madymo (TASS) is also possible. 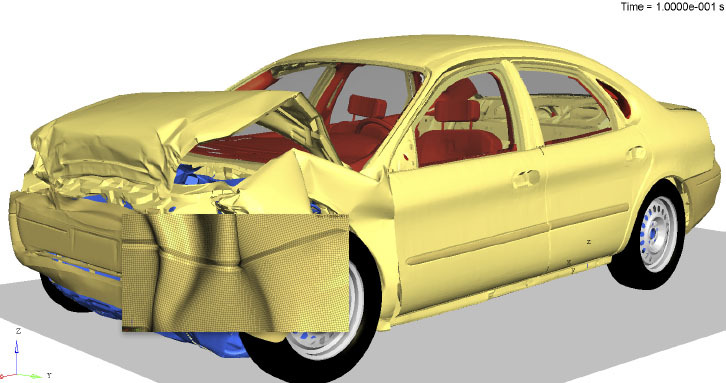 In addition, the HyperCrash and HyperMesh modeling environment provides outstanding support for automotive crash and safety simulation.